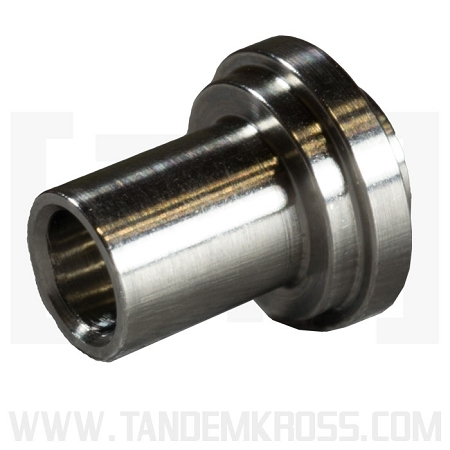 Don't forget, all TANDEMKROSS MKIII™ series bushings come with a LIFETIME guarantee! 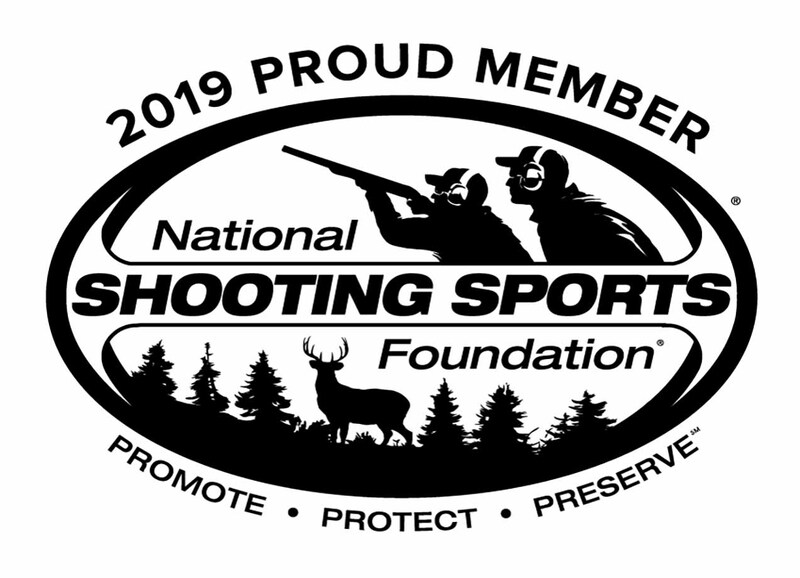 This high quality 304 stainless steel bushing is made for high duty cycle shooting and replaces the Ruger® factory bushing allowing you to safely remove the magazine disconnect from the firearm. There are instructions on the internet showing the use of washers and other parts, but this is unreliable and unsafe! Use an actual part that is designed for the job. 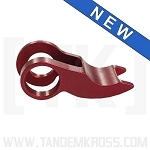 This bushing lets the hammer move properly and at the correct speed. You will be pleased with the fit and final result with this bushing. If you know how to clean this gun you can easily remove the disconnect. 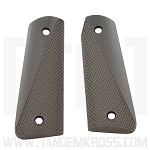 Removing the disconnect allows the magazines to fall free, allows them to seat properly and does allow the gun to fire with the magazine out for tactical competition and self-defense scenarios. Check to see if your state requires the magazine disconnect installed if the firearm is ever resold. 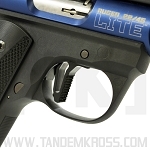 *Want to remove the magazine disconnect in your Ruger® MKIV™ or MKIV™ 22/45™? 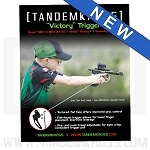 Click here to purchase the "Blast Shield" Magazine Disconnect Replacement for MKIV™ models! *** ATTN: FAQ: Will this bushing work in my Volquartsen Hammer? YES. The bushing and VQ hammer will work together. However, it can be a tight fit to get them together. Please let us know if you are experiencing trouble and we will get you a bushing that will fit into the tighter VQ hammer. 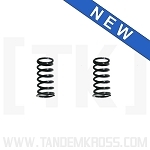 I ordered this bushing for my Ruger 22/45 and what a huge difference it makes. Mag go in and out with ease. A must have item. Super fast shipping as well. I just installed my magazine disconnect bushing from tandemkross in my new ruger 22/45. What a world of a difference. If you own this gun you MUST make this upgrade. Dont go with other brands that arent the right size or require other parts. 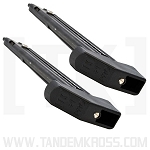 Tandemkross goes the distance with the best quality parts, amazing customer serive/shipping, and helping you get the job done right with detailed instructions. Thank you tandemkross. You have a customer for life. Easier to install than I anticipated! This is a great little addition to my Ruger Mark III. 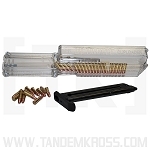 The disconnect assembly from the factory makes it difficult to reassemble the pistol from a full strip. I also think it makes the trigger pull harder or at least less smooth. I installed this bushing along with a Volquartsen sear. What a difference!! I can finally pull the trigger and not affect the sight alignment. I'm looking forward to dialing in my bullseye shooting. Great product and no need to fear the install. Couldn't be happier ! Now my Ruger 22/45 resembles a 1911 - slide lock back, and magazine pops out and away with a simple button push. Breakdown and reassembly goes a little easier too. Install worked the first try and was easy and satisfying. Just do what the guy does on the video. Great product and a bargain for the price. Thanks. Great product...great price...what was really appreciated was the install video...I saved it because it is the best 22/45 take down video that I have ever run across. 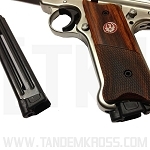 Q: Will this Bushing work on the new Ruger MK IV models? A: This Steel Hammer Bushing will NOT work in any of the MKIV models! 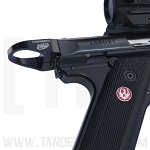 It is made specific to the MK III series of pistols. Was this answer helpful? 24 of 24 Customer(s) found this Answer helpful. 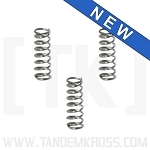 Q: I have a Volquartsen Accuracy Kit installed in my MK III, will the bushing work with the VQ hammer and Kit? A: Yes the Bushing will work. 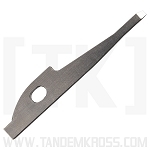 However due to the tolerances on the VQ Hammer you will need one that is just a hair smaller in tolerance. We keep a small stock of these aside for people with VQ Hammers. Please make a note on your order or let us know over the phone! 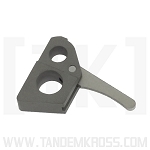 Q: Does this Bushing reduce the trigger pull weight or simply smooth it out (besides removing the magazine disconnect)? A: The Steel Hammer Bushing will not lower the Trigger pull weight. It will help smooth out the action of the Hammer. 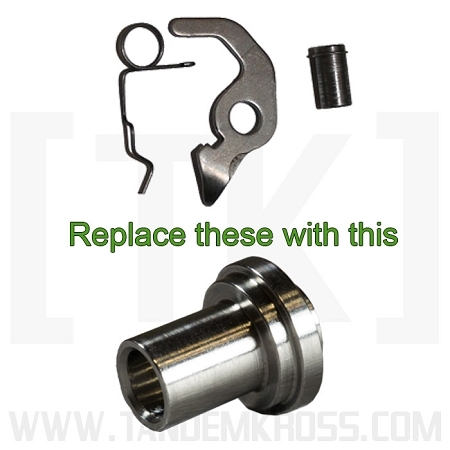 Q: Does this Steel Hammer Bushing fit the MK III 22/45 lite ? A: Yes this will fit the MKIII 22/45 lite. 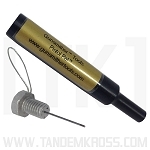 Q: Will this bushing work on a MK III Target with a Volquartsen hammer? If you have a Volquartsen Hammer Please make a note on your order or let us know on the phone so we can send you a Bushing with VQ Tolerances! Q: If I order a Steel Hammer Bushing for a 22/45 with the VQ tolerances will it work with the factory internals now and the VQ kit later? A: Yes! The Bushing is just a tad smaller to fit the tightness of the VQ Hammer. It will still work in the factory internals either way. 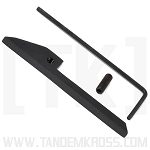 Q: Will your Steel Hammer Bushing work with the Mark III Volquartsen trigger kit? A: Yes the Steel Hammer Bushing will work with the Volquartsen kit. However due to tolerance differences Please let us know in the comments section on your order that you need a Bushing for VQ Tolerances. We have a set amount of Steel Hammer Bushings set aside that are just a hair smaller to be a better fit in the VQ Hammer.